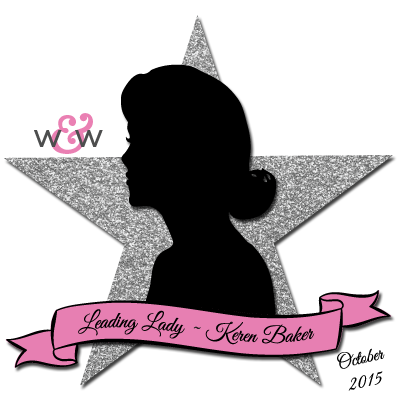 Our October Leading Lady, Keren Baker is back for her triumphant third performance! If you missed her smashing debut you must see it...CLICK HERE or her delightful and innovative second performance showcasing cut files CLICK HERE. 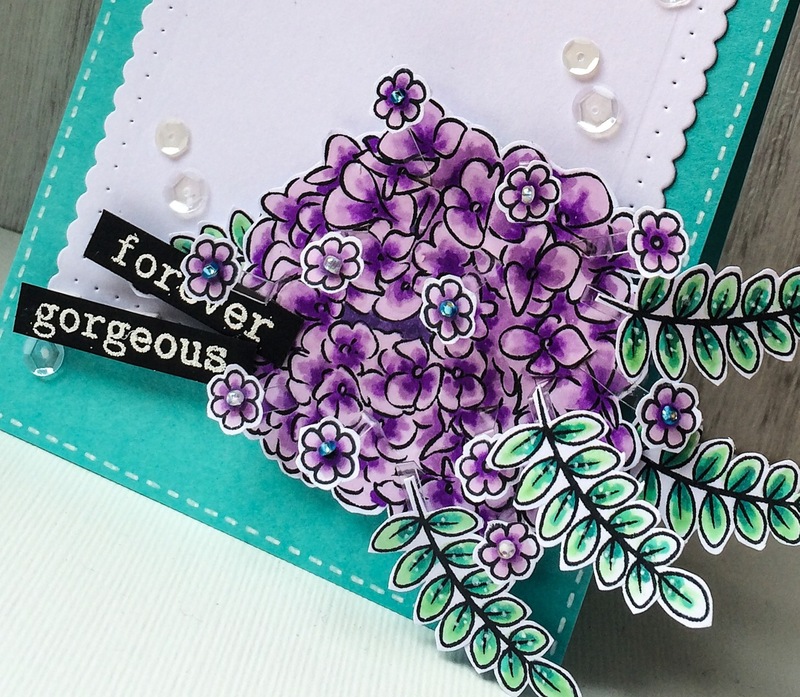 Today, Keren has a real treat for us as she makes things really pop and be noticed! Thanks for having me again! It's exciting being back. This week; a trio of 3D cards. 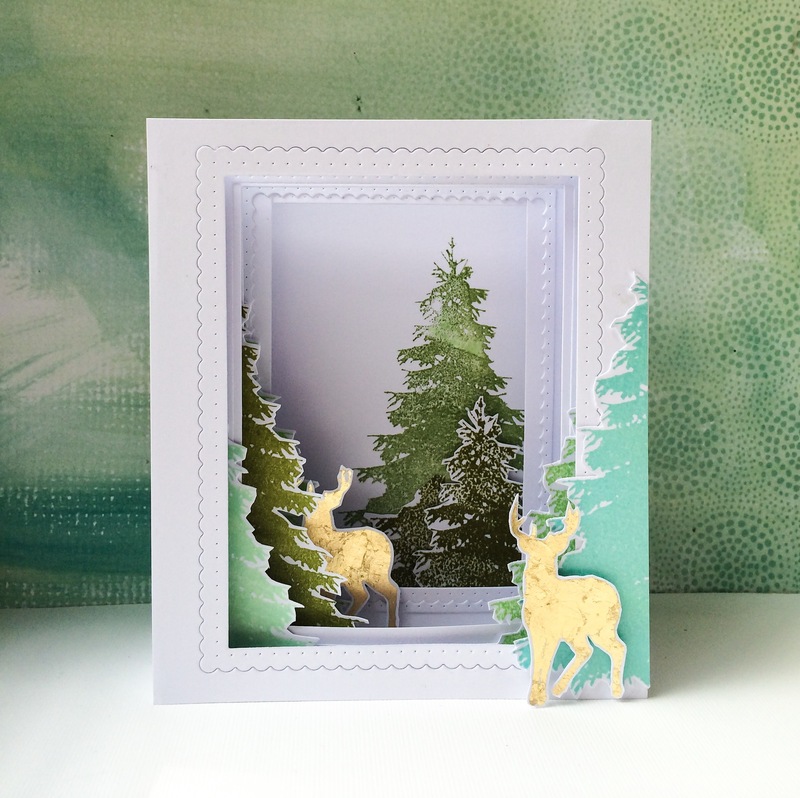 This card is using the Winter Woodland ﻿set ( I'm sorry, I just can't put it down!). 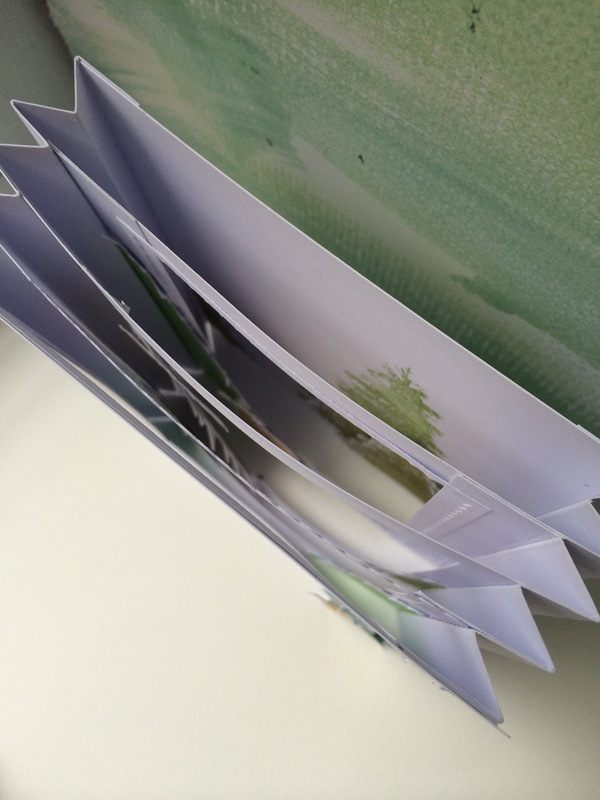 I've done a simple boxed card- using two side accordion folds and slotting the inserts inside. For the individual parts, I've taken advantage of each part of the frames in the Essentials: Audrey Cutaways ﻿die set. Rather than separate them, I've added an extra layer behind to keep all the frame parts together. I love that the tree is a solid image- I've purposely not inked it evenly as this gives more texture to the forest. The deers are simply stamped with a glue and gold flakes added over them. They make an elegant wintery scene that could easily be a Christmas decoration ( if we were even thinking about that yet 😉). Next card..well it's only slightly 3D! I love the jewels in 'My Precious' ﻿and wanted to make a feature of just one. I simply stamped the jewel twice on some acetate. I then added some stitching holes with a pricking tool and sewed around the edges. Once nearly sewn, I left a slight gap, pushed some glitter into it and sewed up the gap. Simple. A sparkly jewel- set off by the stark black backdrop. 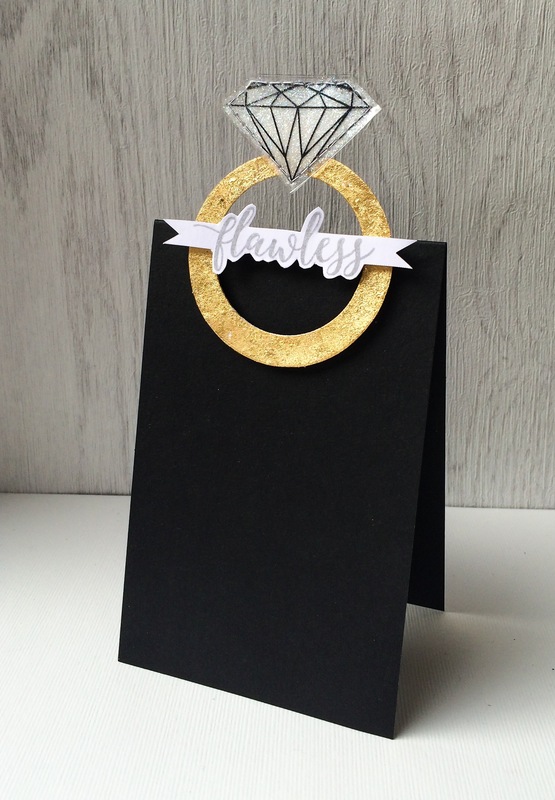 I wanted to take it beyond the card to give it a 3D look & created a ring using circle dies and then added gold metal flakes to it. For my final project, I wanted to use another useful 3D supply staple; acetate. You can make all sorts of elements that jump off the page with this delightfully clear product. I used the beautiful In Bloom: Addie's Garden ﻿along with the foliage from the set: In Bloom: Lola's Bouquet with Joni Andaya﻿ and the sentiment set The Big, The Bold & You﻿. Once I'd stamped and coloured the bloom in with Copic markers, I stamped out the little flowers and foliage and added them to small thin strips of acetate. Then, make little slits in the flowers and feed the strips into them. Secure them onto the reverse of the flower. Bend and fold the acetate until you have a great arrangement. 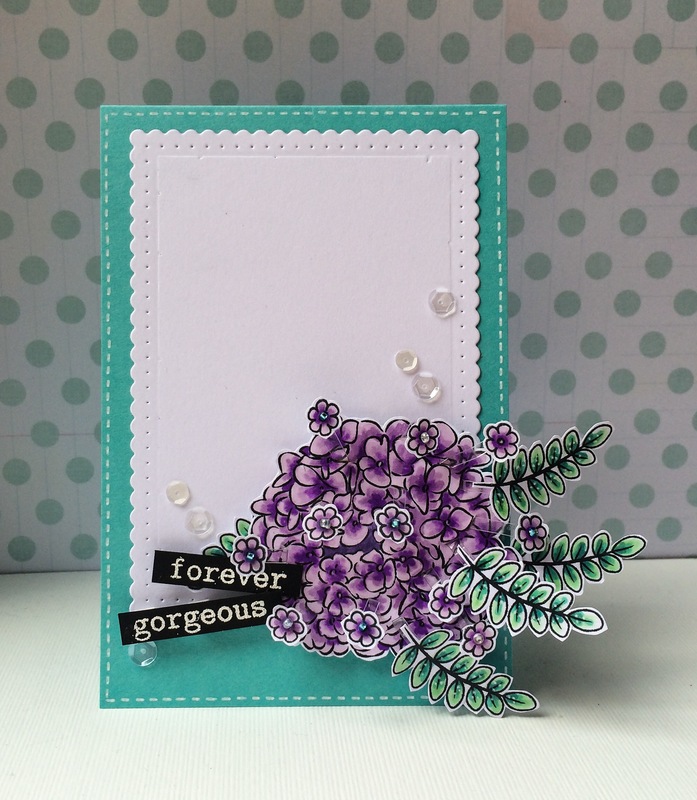 Add them onto a card base and a mat created from one of the frame dies in the Essentials: Audrey Cutaways﻿. If you look carefully at the photo, maybe you can see the strips. Because the acetate has bends created, it will flatten down to post too! Hope you've enjoyed some ideas to add dimension to your crafting. Next week (which I can hardly believe will be my last (sob sob)), I'm going to ...well you'll have to wait and see! I've been having some lovely commenters over on my blog the past few weeks, and they're all in the running for a $30 gift voucher which Julie & Shay have so generously provided. If you want to be in with a chance, do visit my blog ﻿to see how to be in with a chance too! WOW. I tell you, Keren is always so fresh + fun with her designs....these are Gorgeous. Keren, I'm blown away with your 3D creations here! Gorgeous, creative and, in my opinion, fabulous works of 'engineering'! The Winter Woodland box card...oh my stars! That card IS a gift...so incredibly lovely! Your talents are immense; thank you for sharing them with us! Totally dumbfounded...Keren is such a star when it comes to adding dimension and movement to her creations. This woman is a master cardmaker. Oh, WoW!! There are not enough superlatives in the dictionary for these cards! 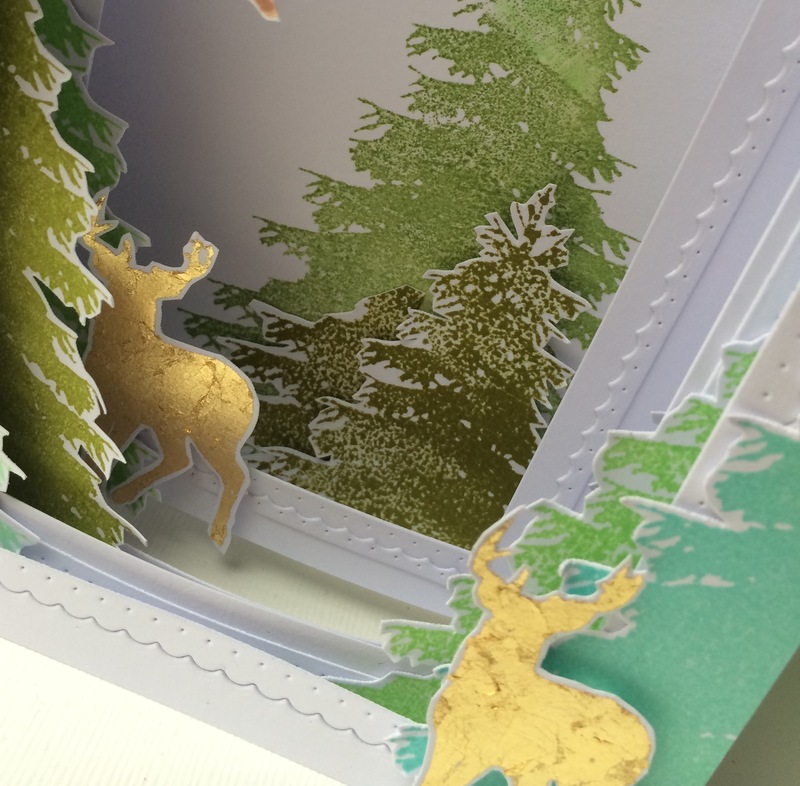 I LOVE the dimension of the boxed card, and the leafing on the deer loos terrific!! Thanks for showing how. The gem is, indeed flawless and the flowers gorgeous! Thanks for a terrific eye-candy day!! Thud!!! Keren, each and every one of your 3-D creations are simply insane girl! I cannot even begin to tell you how amazing your boxed card is! Fabulous, fabulous creations! Keren, you ROCK!!!! These 3D cards are super AMAZING!!!!!! WOW!!!!!!! The ring is so sparkly, and I love that fine glitter against the black. I have never thought to use acetate as you did for your third card...brilliant! Very clever and beautiful cards! Wow, Keren! All these cards are amazing! Absolutely LOVE that scene you create, and I agree, would be great for Christmas decoration, it is my favorite stamp set. Your cards are fabulous. Love the dimension of the first one. Oh my WOW!!! These are just phenomenal!!! I'm blown away by the first card, it looks like it was so hard to make but the results are spectacular! Way to go, Karen! Beautiful cards. My favorite is the diorama card. Wonderful! ABSOLUTELY FABULOUS and EXCITING cards Keren - WOW!!! Your box card is SO BEAUTIFUL, such LOVELY scene ... I'm definitely going to have to google on how to make one of these!!! 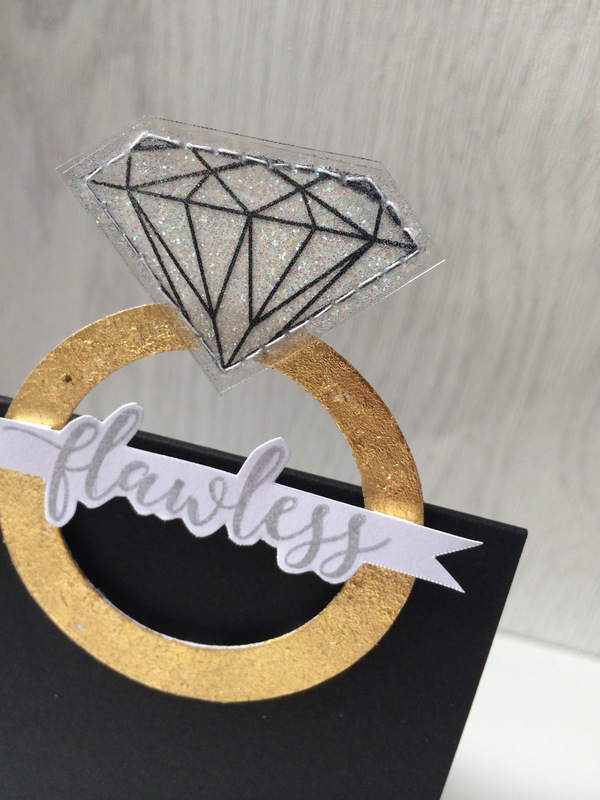 Flawless is SO ELEGANT and your SPARKLING PRECIOUS diamond SO CLEVER, ANOTHER technique for me to try!!! As for forever gorgeous, it really is GORGEOUS, your flowers & foliage are STUNNING, the dimension a DELIGHT ... I've made some pop-up cards and can imagine what the dimension must be like with the flowers and leaves floating out in front of the card!!! What can I say ... Each one is unique and simply stunning!